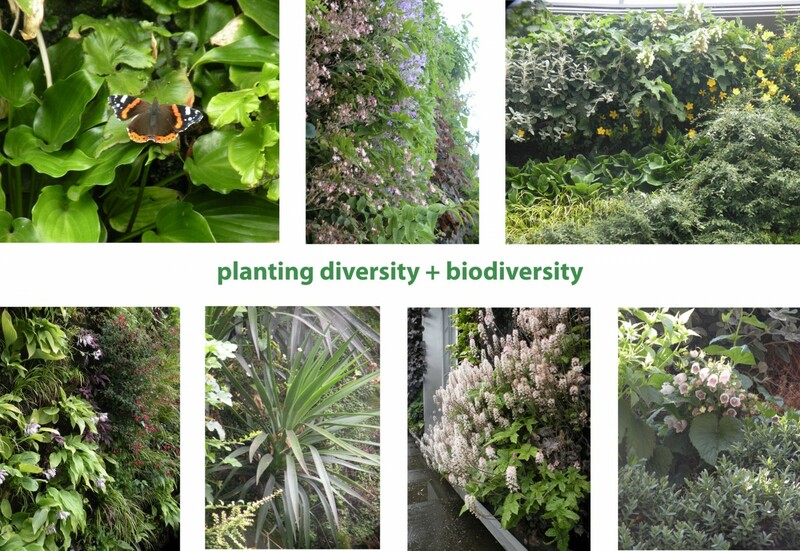 In this collaborative proposal, we designed a demonstration project of biodiversity in an intensely urban inner city area, working with the Victoria Business Improvement District (BID) as part of its overall greening strategy for the wider area. 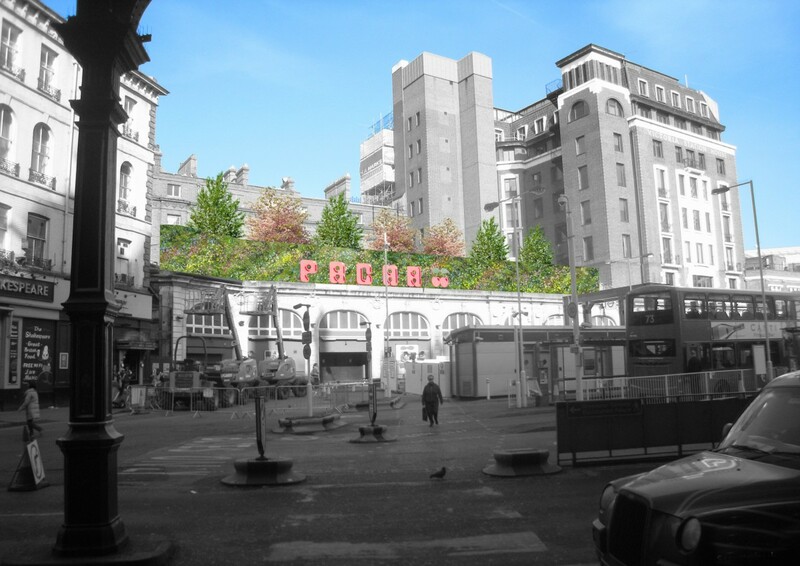 We proposed an intensive green roof, habitat installations and a living wall on a nightclub building just opposite the main Victoria railway station in London. Despite its relatively small size of the project, the project design contained more than 100 plant species, irrigated by rainwater collection from the surrounding roofs. 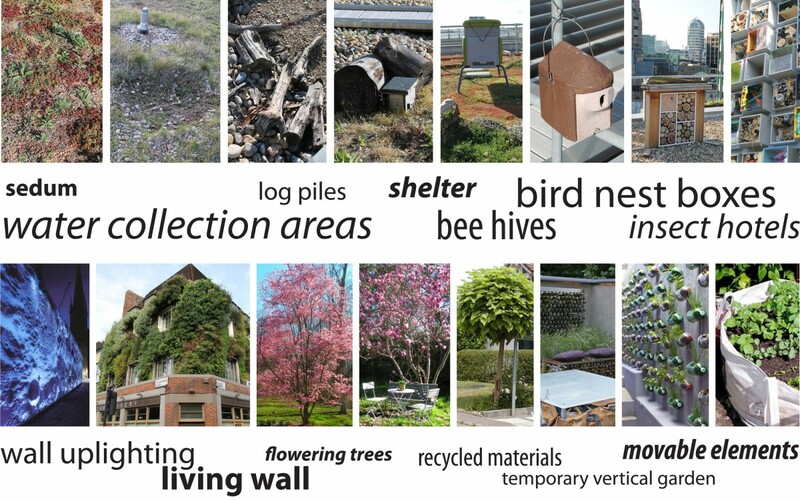 The scheme aimed to cater for fauna as well as flora, with self-heating bird boxes, log piles and insect hotels. 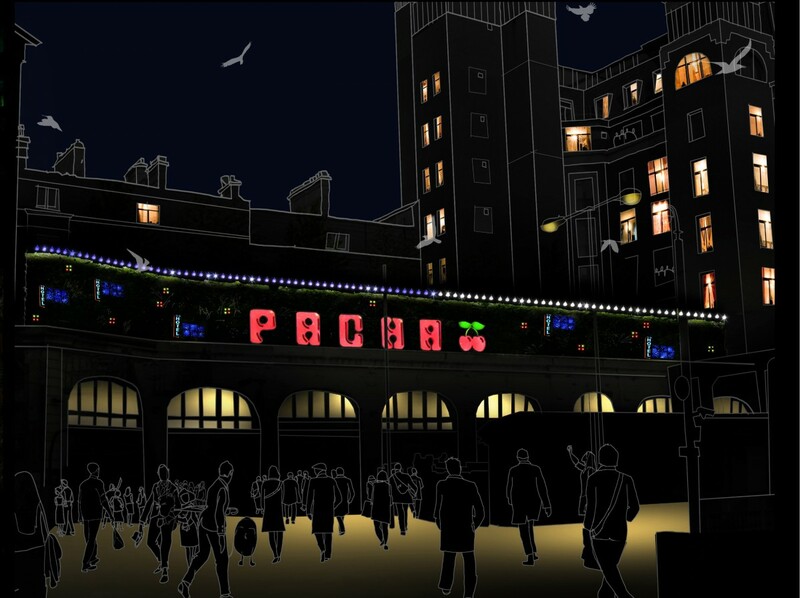 The UV lighting scheme was developed to attract insects with occupancy indicators on the bird boxes and visible water meters to help the public appreciate the effectiveness of simple sustainability measures.